Lee Greer, Ph.D., is the Founder and President of NPREX®, LLC and New Market Economics, LLC. Lee served as Corporate Economist for a major PRO for seven years. Before that, he served as a financial economist and econometrician at PNC Financial Services Group. Lee designed the patent-pending exchange NPREX®. He has extensive experience in the fields of econometrics and industrial economics, along with expertise in financial economics. An attorney as well as an economist, Lee brings a unique mix of industry knowledge, expertise and technical skill to NPREX®. Ned Collins is NPREX’s CFO. Ned is a business operator and serial entrepreneur with experience in private placement investments (both venture and buyout). Prior to NPREX®, Ned co-founded a search fund, which acquired a RV manufacturing company in 2007. Ned spent eight years as the company’s CEO, navigating the massive industry downturn and recovery periods. 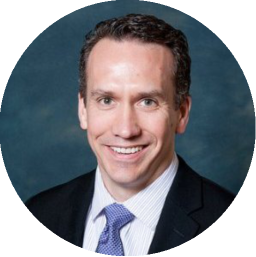 Ned also has experience in seed venture capital, the semi-conductor industry, as turn around management, and as an army officer. 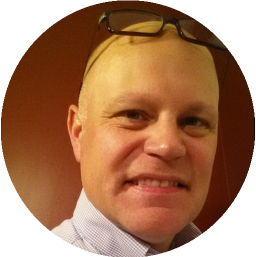 Ned joined NPREX® in early 2015. MBA, Carnegie Mellon University. BS, U.S. Military Academy, West Point. Brian Brown is NPREX's CTO. 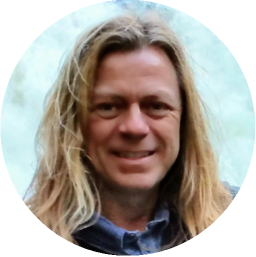 Brian has 20 years of technical management, development, and data science experience with ten years of direct industry experience inside a PRO. Brian created the first large-scale production A.I. system used to identify music performances while linking the performances with music ownership metadata. Brian was the founder of the first Business Intelligence and Data Science department at a major PRO. He began a Ph.D. program in Music Information and Retrieval researching methods using music similarity techniques to create a standardized measure of plagiarism. In late 2016 Brian put his Ph.D. study on hold and left his position as Senior Director of Data Science and Innovation at a major PRO in order to concentrate full-time on the development of NPREX®. In a former life, Brian was a classically trained musician and composer, who has won various composition and performance competitions. 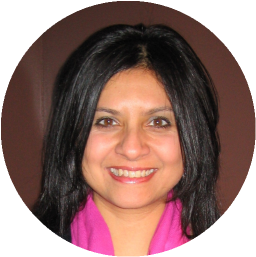 Neeta Ragoowansi is NPREX’s SVP of Business Development and Legal Affairs. She has been an entertainment attorney and music business professional for over 25 years, with the last 12 years primarily focused on advising and growing companies and organizations in the music licensing/royalty administration space. Neeta was formerly in senior management and Director of Artist-Label Relations at SoundExchange, SVP of Business Development & Legal Affairs at TuneSat, President of Women in Music, and Assistant General Counsel for the Kennedy Center for the Performing Arts and National Symphony Orchestra Association. Neeta also provided consulting services to the financial sector regarding music industry related topics including those involving digital streaming services, performance rights organizations, and music rights administration services, and represented a variety of entertainment industry clients in her private legal practice. Neeta currently serves on the board of Women in Music, The Recording Academy/Grammy organization (NY Chapter), and the American Bar Association’s Forum on Entertainment and Sports Industries. Neeta has spoken at hundreds of music and technology conferences in the US and abroad, including South by Southwest (SXSW), MIDEM, CMJ, SF Music Tech, American Bar Association's Forum on Entertainment and Sports Law Annual Meetings, and Future of Music Policy Summit. JD, American University. BA, Emory University.